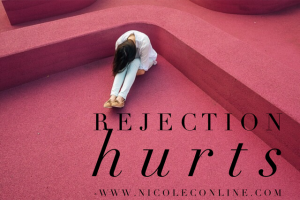 Have you been rejected lately? It didn’t feel good, did it? Most of us internalize rejection. We study it. We pick it apart and if we’re not careful, we’ll allow it to consume our thought process. Every waking moment will be dedicated to examining the reason for the rejection. We feel unloved, unworthy and not good enough.